A well-cared example of this less common model from Bavaria. Good size cockpit and easy access around the boat. new teak 2016. Regularly maintained. Plenty of space below with a large galley on the port side, a large saloon dining area that converts to a double berth, a further double berth in the forward cabin with the day heads. On the starboard side there is the navigation station and access to the very large owners aft double cabin and en-suite heads and shower. Very well equipped with in service lift raft EPIRB and navigation equipment. Spanish registered with all Spanish taxes paid including EU VAT/IVA. Registering the boat in the UK or other European country is a simple process that we can help with. 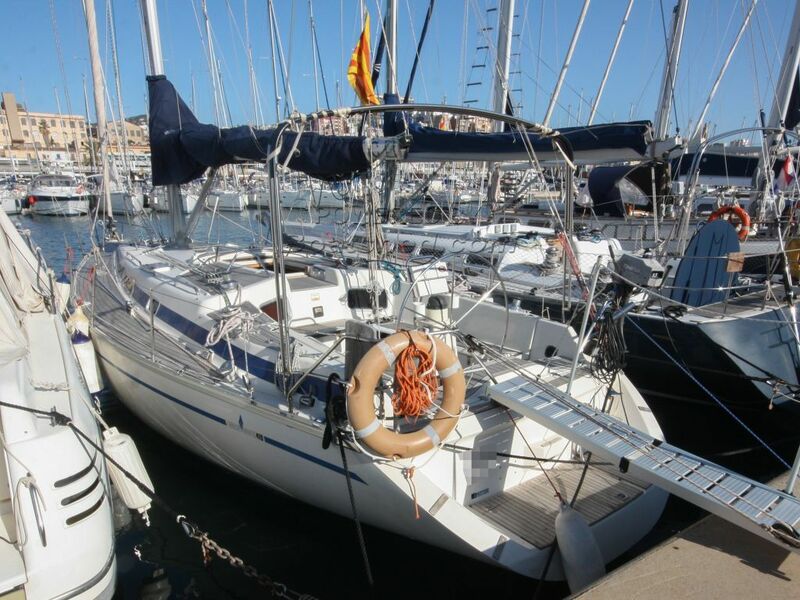 This Bavaria 410 Lagoon has been personally photographed and viewed by Paul Griffiths of Boatshed Barcelona. Click here for contact details.